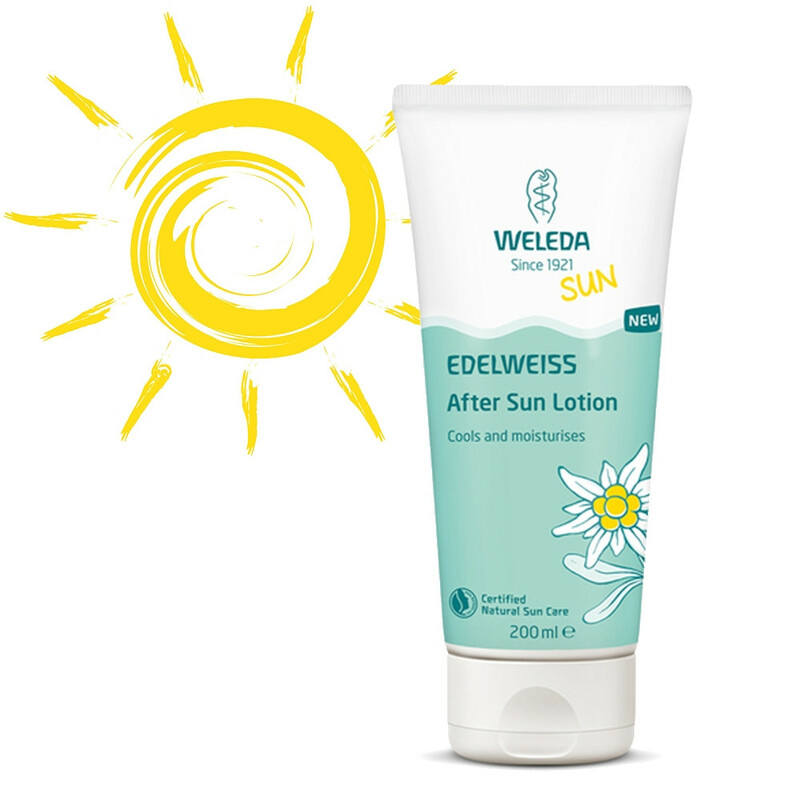 After a sun-soaked day, moisturising Weleda After Sun Lotion offers refreshing and restorative care. Organic natural extracts of aloe vera gel, edelweiss and olive oil helps skin to feel hydrated, smooth and supple. Non-sticky and suitable for the whole family. Ingredients: Water (Aqua), Glycerin, Alcohol, Aloe Barbadensis Leaf Juice, Olea Europaea (Olive) Fruit Oil, Olea Europaea (Olive) Oil Unsaponifiables, Betaine, Urtica Urens Flower/Leaf/Stem Extract, Leontopodium Alpinum Flower/Leaf/Stem Extract, Sclerotium Gum, Xanthan Gum, Lysolecithin, Glyceryl Caprylate, Fragrance (Parfum)*, Limonene*, Linalool*, Citronellol*, Benzyl Benzoate*, Benzyl Salicylate*, Geraniol*, Citral*, Farnesol*.